Our restaurant provides a treat for the palate with a seasonal menu and a wide range of international wines. Head Chef Patron Neil Misquitta, former The Cunard Liner Queen Elizabeth 2 Chef, and his team serve quality food. Looking for top quality accommodation in Cambridge? 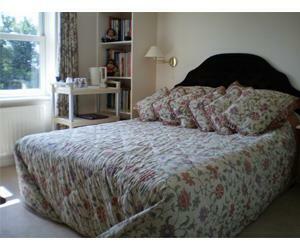 Choose Autumn House guest house in Cambridge: the perfect place to stay in Cambridge. Autumn House offers excellent guest house holiday accommodation. Greenhill offers tranquil, private accommodation in the detached annexe of our period home. The Meadow House is a magnificent modern house, set in 2 acres of wooded grounds. We offer 2 ground-floor double rooms with en-suite. Pets are welcome. 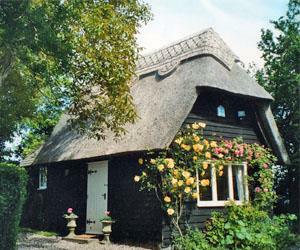 Your own thatched cottage in garden with tremendous views. Beamed en-suite double bedroom. Breakfast in adjacent 16thC main house. A friendly restaurant, pub with 10 comfortable bedrooms. Awarded 2 AA Rosettes since 2014 for culinary excellence. Situated on the banks of the River Nene in the picturesque village of Nassington. Three storey Victorian terrace house, situated in residential street in Cambridge. Just 10 mins from Huntingdon & set in 15 acres of award-winning landscaped gardens, meadows & woodland, Pointers is a luxuriously appointed farmhouse & smallholding. Located in quiet countryside, overlooking the charming village of Wistow. Enjoy our Grade II listed home and secluded gardens. Ideally located for Ely, Newmarket, Cambridge and East Anglia. Isleham has three pubs, two shops, post office, historic church and priory. 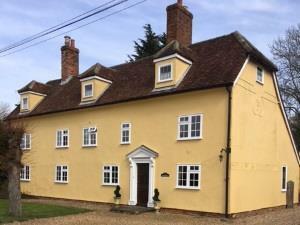 Quality accommodation in former village school, quiet location 5 km from Ely. Set in gardens & horse paddocks, with splendid views onto Ely Cathedral. Harvest House is located in Ely. Victorian house with first rate accommodation, relaxing gardens, a minutes walk from village square & the river, 2 miles from Huntingdon & St Ives & 25 mins from Cambridge. Well established, family run guesthouse, offering excellent accommodation and personal attention for a pleasant stay. All rooms tastefully decorated and furnished to a high standard. Conveniently situated for city centre, A14 & M11. A warm welcome awaits you at this small family run B&B. Prices include full English breakfast. Hospitality tray with coffee, tea, hot chocolate, biscuits. Comfortable, friendly Tudor style cottage situated within walking distance of the city centre. Rooms with en-suite or shared facilities. Excellent food and friendly personal service. Off street car parking. Easy access to A14/M11. The Lazy Otter is a riverside pub / restaurant with three new letting rooms. Good home made food served seven days a week from 10.00am to 9pm. There is e a large garden and a children's play area. 4 star bed and Breakfast in the countryside minutes away from the cathedral city of Ely. Wood Fen Lodge is set in 4 acres of peaceful fenland countryside, home to Rosewood Therapy we offer you an experience to remember. Family run B&B. Beautiful views over open countryside with patio garden for bird watching or relaxing on edge of willowbrook. Ideal for business or a relaxing weekend. Recently refurbished private guest house less than 1 mile from city centre. Free Wi-Fi available.